Hi! I'm your SANE concierge. What can I help you find today? Dissolve xanthan gum in 1/4 cup water, and set aside. In a medium saucepan over medium heat, bring chicken broth to a boil. Add Brussels sprouts, and cook until tender. Strain, reserving chicken broth, and place Brussels sprouts in a warm serving dish. Return chicken broth to stove, stir in mustard and lemon juice, and return to boil. Add xanthan gum mixture. Cook and stir until thickened. 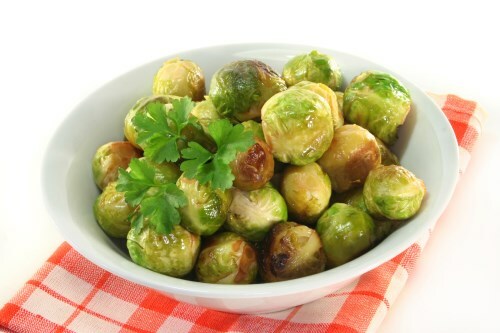 Pour over Brussels sprouts to serve.